Freediving Sport monofin from Leaderfins. 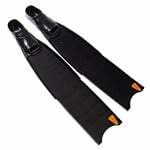 The monofin blade is made of high quality multi-layered fiberglass. 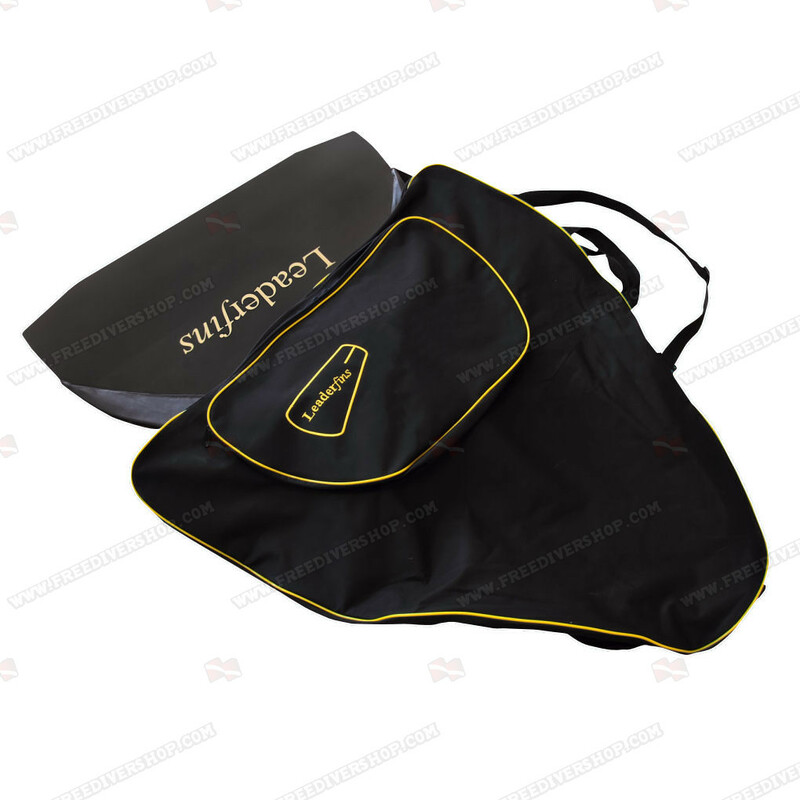 Equipped with comfortable soft rubber footpockets. 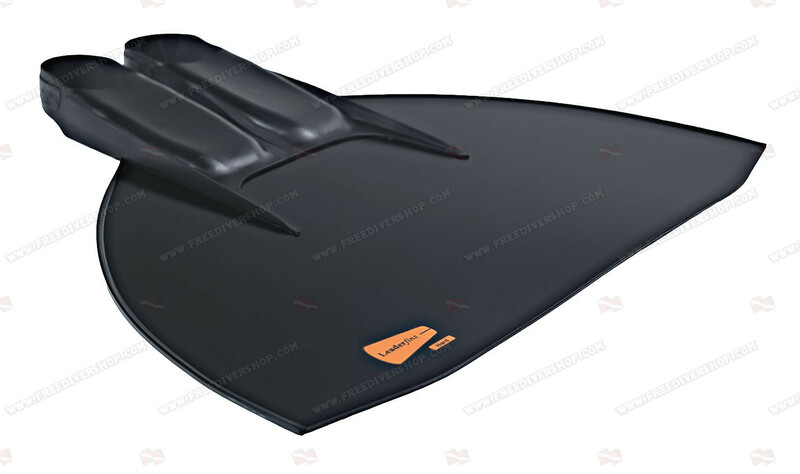 The monofin blade is made of high quality multi-layered fiberglass. Equipped with comfortable soft rubber footpockets. 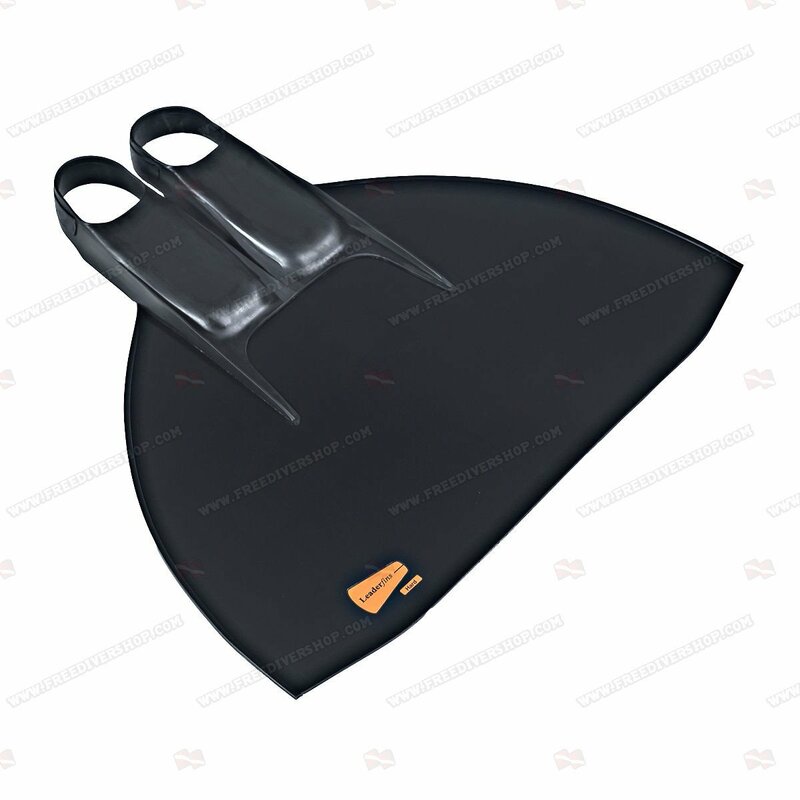 Great for finswimming, freediving and underwater orienteering. How to select the correct foot pocket size? 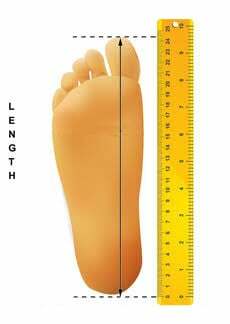 Our foot pocket sizing is true to actual shoe size, we advise selecting the foot pocket size which corresponds with your actual shoe size. 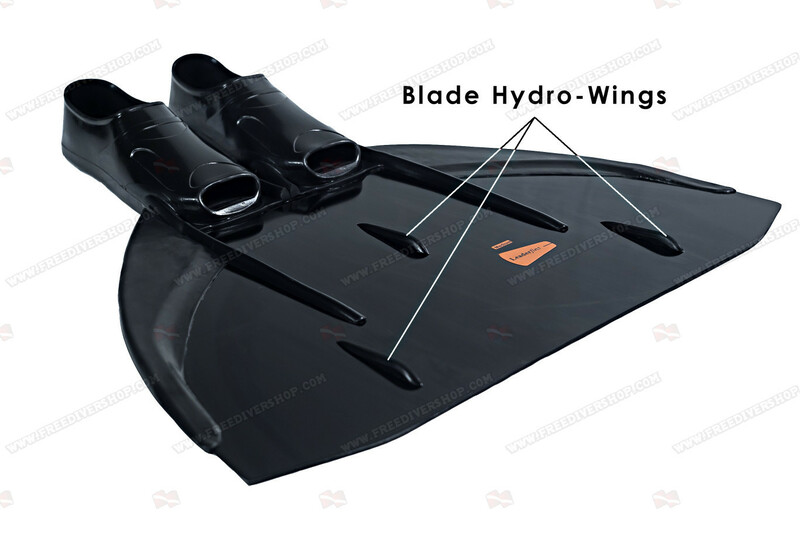 What are blade hydro-wings and blade protection for? 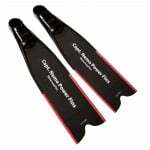 The blade hydro wings add stability to the blade by means of improved channeling of the water flow over the blade. 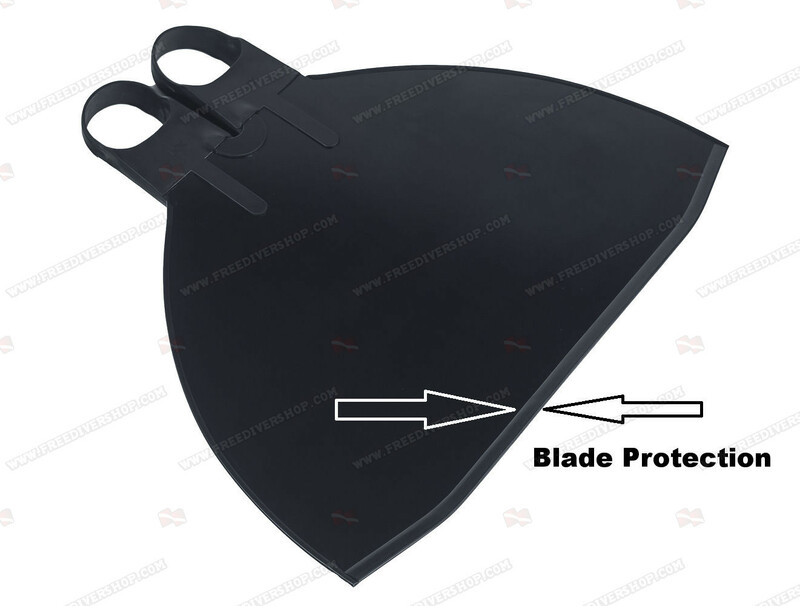 Blade protection helps in preventing damage to the blades edge when coming in contact with hard objects such as the pool wall or floor. It appears that the fins are hand made. While understandable, it leads to issues. 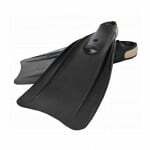 On my fins rubber on my right foot socket was cut too deep so it developed crack on 3rd use. But the issue was really quickly fixed. They sent me a new fin right away and this one has that part done much better. I am really happy with my product. I had an accident around 4 years ago and was not able to swim as my knee would was not able to go the distance without fatigue. Now I am able to start swimming soon to redo my dive ticket and get some off my life back. 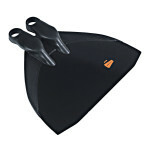 I also read the reviews about getting the soft one to start with and a size up I am so glad they did as they were right thank you to all the people for there advise and to leader fins with the fast delivery and the product. Excellent monofin, I love it. I have 3 differnt stiffness monofins which are ex hard, midium,and soft. And I find out, soft one is best for me. Soft one is easy to go longer and faster. These seemed the cheapest "proper" monofins that I could find in the UK. In the swimming pool I find that the jets of water can twist me off course although this is seeming to effect me less so maybe I am improving! 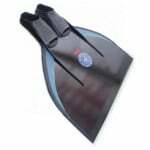 I find it hard to swim efficiently with this and my distance is the same as with bifins. I can swim fast with this fin easily just finding it hard to slow my technique down although I blame this on being a beginner. 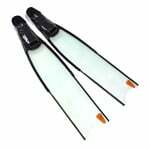 On my one deep water session with the fin I found it a lot better and easier than my bi fins. Would buy again, although maybe in a softer strength. Overall if this is your first fin or for a training fin to scratch and batter in the pool then go for it! 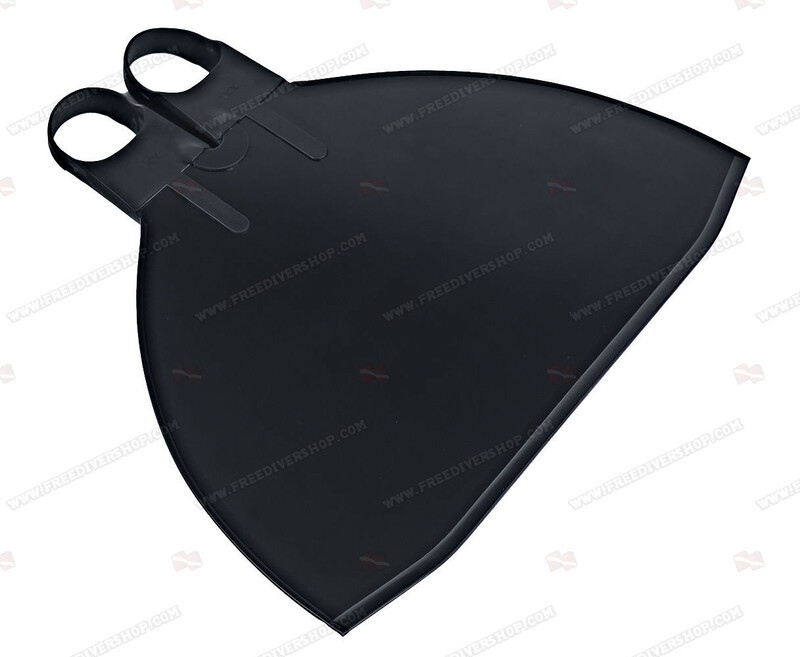 Good quality, fast shipping, powerful fin, but ... Even though I went up a size for foot size after reading the reviews I struggle getting into the foot pockets, even with soap. Can't use the socks as they make it even tighter. I can only swim for some 10 to 15min before my feet get too painful as I have very high instep. I grew up training with fins, including mono fins and never had this problem before. I guess it will take a while until the foot pockets are 'broken' in. Big learning curve, but very fun. My previous monofin is a Finis Wave, so this is my first experience with a professional monofin. The large, fiberglass fin on the Leaderfin took me a few swims to get used too, and required a lot more work from my legs - but the speed and depth I can swim to now is incredible!! The foot pockets are a lot narrower than I was expecting - I'm a 7.5 so ordered the 7.5-8.5, but the fit was *very* snug. I highly recommend using the socks as you break the rubber in. Overall, I am super happy with this product. Footpockets smaller than I had expected, "socks" only cover half foot but fill the purpose of protecting the skin from burn from the rubber. I have already owned this product for more than half a year, and it has never been dry, save the scratches from the pool, it is a sound product. 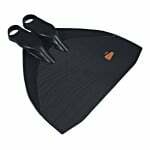 Great for everyday training, durable, and incredibly efficient, quite possible the best choice in this price range hands down. This monofin has blown me out of the water! Literally! i am beyond impressed with the power and beauty of swimming in this! i feel like the mermaid i always knew i was. ;) It was tight at first and slightly awkward, but the more you swim in it, the better you become. I also broke in the feet part which was tight and uncomfortable at first. LOVE THIS!